The rich world of Azerbaijani music would be incomplete without the Seven Beauties suite, Motherland opera and Path of Thunder ballet -- the masterpieces of great Azerbaijani composer Gara Garayev. This year marks the 95th jubilee of Gara Garayev and the Azerbaijan State Philharmonic Hall named after Muslim Magomayev hosts a concert dedicated to Garayev's creative work on Tuesday. The State Chamber Orchestra will play Garayev's compositions during the concert. 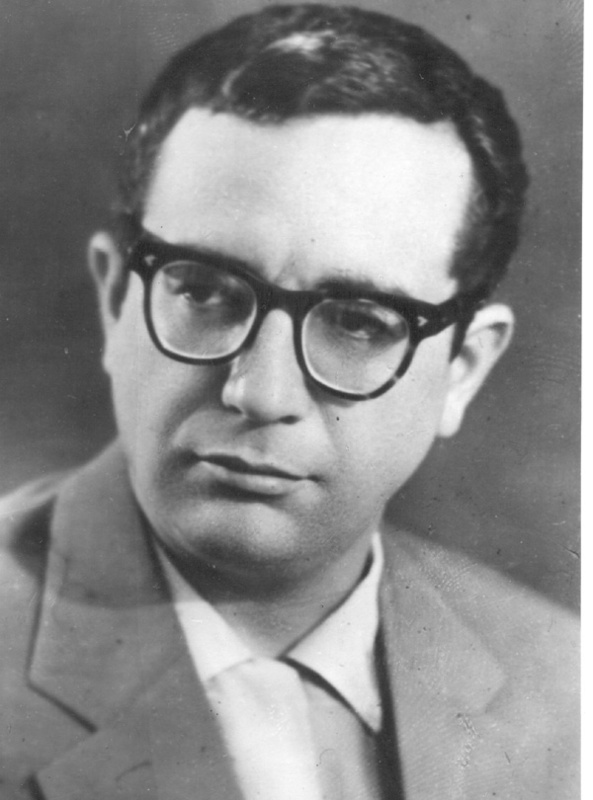 Gara Garayev is one of those great composers who enriched the Azerbaijani music with his immense legacy. Garayev is the author of nearly 110 pieces, including ballets, operas, symphonic and chamber pieces, piano solos, cantatas, songs and marches. Many consider Garayev second next only to Uzeyir Hajibeyov, the father of classical music in Azerbaijan, for his innovation in musical compositions. Garayev was born on February 5, 1918 in Baku. He inherited his love of music from his parents. His father was a famous pediatrician, but knew Azerbaijani folk music very well and loved to sing. Garayev's mother, Sona Khanim, was among the first graduates of the Music School, the Baku branch of the Russian Music Society. At the age of eight, Garayev entered the junior music school at the Azerbaijan State Conservatoire, currently known as the Baku Music Academy. Due to his musical talents, in 1933 Garayev was allowed to enroll simultaneously in two faculties. He studied Piano with Professor Georgi Sharoyev and Composition Theory with Professor Leonid Rudolf. Uzeyir Hajibeyov was among his teachers. Since the early student days, Garayev had been involved in studying the origins of Azerbaijani folk music and participated in expeditions to the mountainous regions of the country where folk music was recorded. Garayev juxtaposed features of mugham with jazz, blues, African music, European counterpoint styles and the developments related to the 20th century Western music such as the 12-tone technique. His music combines a strict, logical spirit of classicism with a poignant, romantic passion. After years of creating consonant, tonal pieces, he turned to a dissonant style in which the links with folklore became much less obvious, especially in such works as the Third Symphony and Violin Concerto. Young composer Garayev's first public performance was at "Decade of Azerbaijan Art" event celebrated at the Bolshoi Theater in Moscow. The festival program concluded with Garayev's cantata, "The Song of the Heart," the text of which had been written by Azerbaijani poet Rasul Rza. He was only 20 years old at the time. This was only the beginning of Garayev's achievements. While studying at the Moscow State Conservatory, he and Jovdat Hajiyev won the Stalin prize for their opera "Vatan" (Motherland) in 1945. Later, Garayev won the prestigious Stalin prize - this time for his symphonic poem "Leyli and Majnun," which is based on the work of Nizami Ganjavi, a 12th century Azerbaijani poet. In 1952, under the direction of the choreograph P. A. Gusev, Garayev's "Seven Beauties" ballet was staged at the Azerbaijan Opera and Ballet Theater. Based on Nizami's famous poem, "Seven Beauties" became the first Azerbaijani ballet and opened a new chapter in the history of Azerbaijan's classical music. Garayev's other famous ballet, "Path of Thunder", was dedicated to racial conflicts in South Africa. Later, when Garayev become the rector of the Azerbaijan State Conservatoire he established new principles and was able to facilitate the development of Azerbaijan's composers school for many years. Garayev used to organize evening performances of symphonic works of modern jazz and mugham music where he invited some of the most talented musicians to educate the young musicians. During his teaching career at the Azerbaijan State Conservatoire, Garayev tutored a number of prominent Azerbaijani musicians and composers. One of Garayev's students, composer Khayyam Mirzazade, recalled the intensity of Garayev's classes: "As a rule, Garayev would turn his lessons into a discussion of problems in contemporary music - analysis of techniques, language and styles of music. Garayev hated thoughtless attitudes toward folk music. He made his students learn the inner workings of folk music." Garayev was one of the only two Soviet composers who attended the first International Los Angeles Music Festival held at UCLA where Franz Waxman conducted the Festival Symphony Orchestra with a suite from Garayev's Path of Thunder. However, Garayev suffered from heart disease that prevented him from attending his own 60th jubilee celebration held in Baku, where he was awarded the title of the Hero of Socialist Labor. Garayev died at the age of 64 on May 13, 1982 and was buried at the Alley of Honor, a cemetery and memorial in Baku.